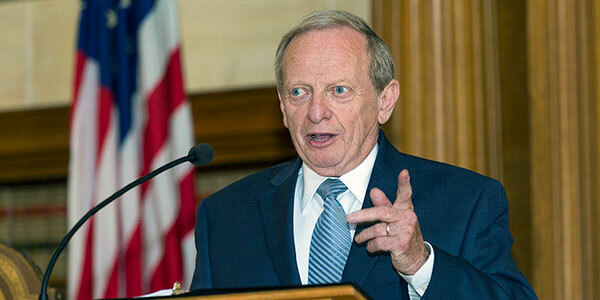 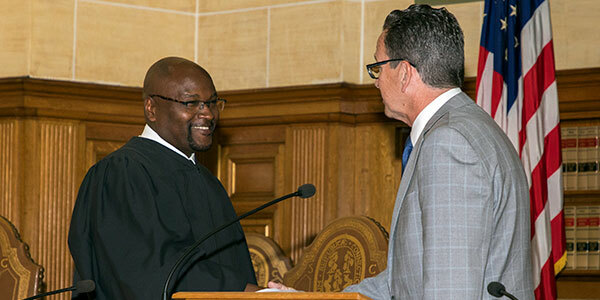 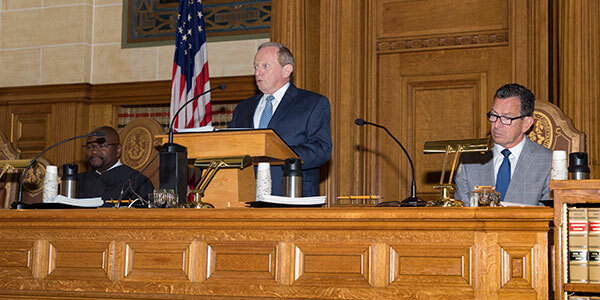 Attorney Jay H. Sandak welcomes guests to the swearing in of Chief Justice Richard A. Robinson on June 18, 2018, in the Supreme Court Courtroom. 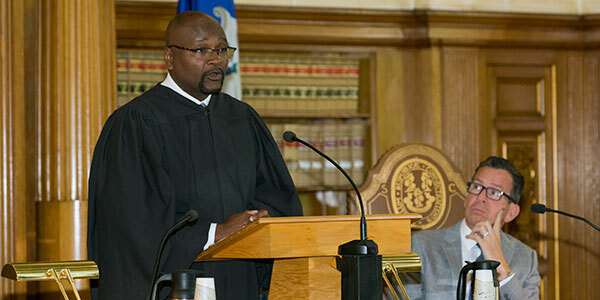 Chief Justice Richard A. Robinson during the ceremony. 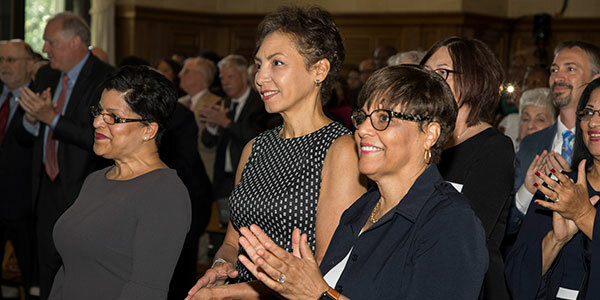 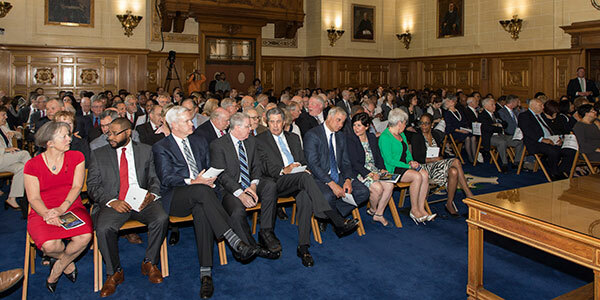 Guests at Chief Justice Richard A. Robinson's swearing-in ceremony in the Connecticut Supreme Court courtroom. 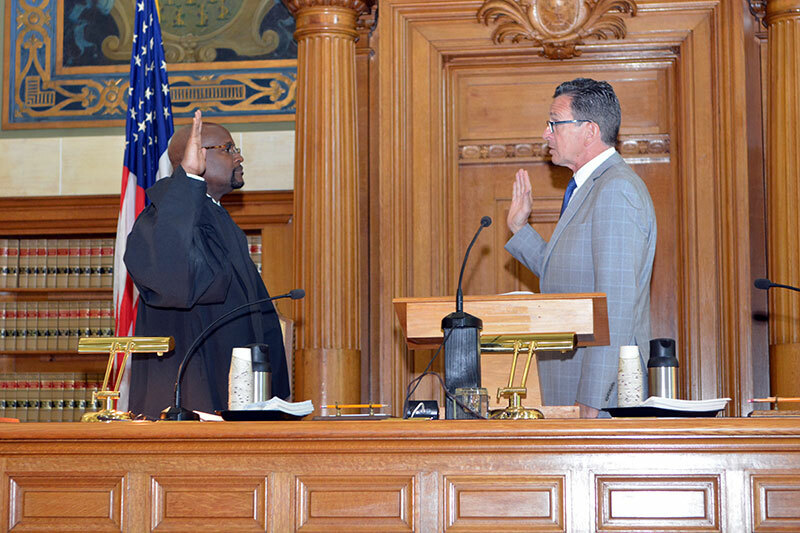 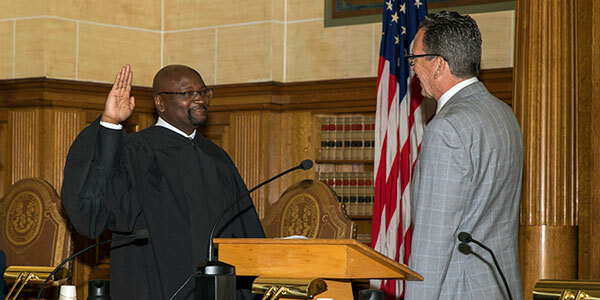 Chief Justice Robinson receives a congratulatory handshake from Governor Malloy (L to R: Chief Justice Richard A. Robinson, Governor Dannel P. Malloy). 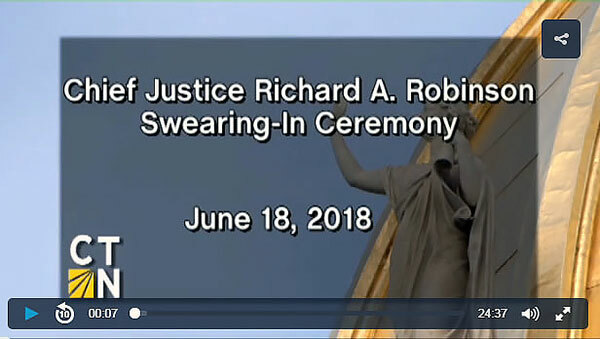 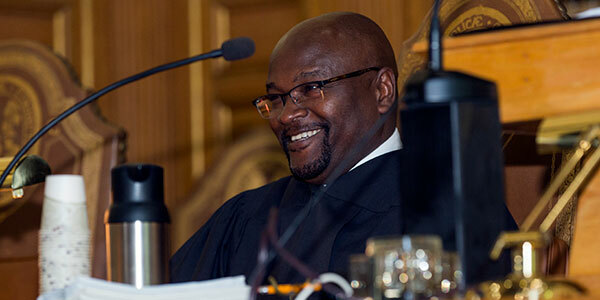 Watch Chief Justice Richard A. Robinson Swearing-In Ceremony Recorded On: 6/18/2018.